SSNten: DARK DAYS BRiGHT TUNNEL CD LEAK PARTY !!! 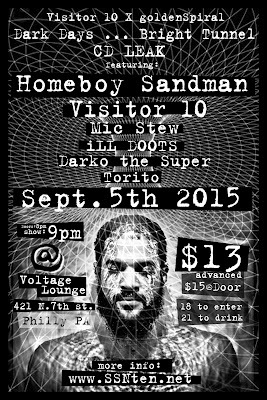 featuring : Homeboy Sandman, Visitor 10, Mic Stew, iLL Doots, Darko the Super, and Torito ! DARK DAYS BRiGHT TUNNEL CD LEAK PARTY !!! 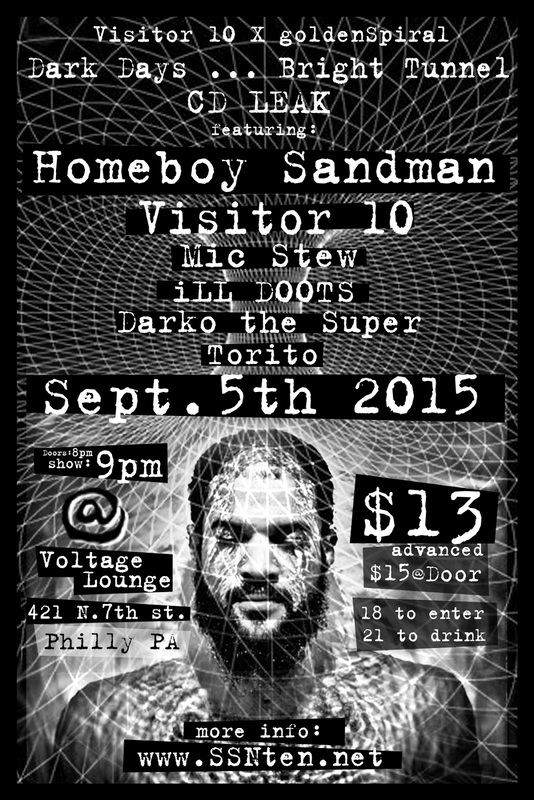 featuring : Homeboy Sandman, Visitor 10, Mic Stew, iLL Doots, Darko the Super, and Torito ! time flys when your a time traveler !